In 1985, seven European Union countries signed a treaty to put an end to internal border checks. Presently you can travel to fifteen European countries using the Schengen visa - Austria, Belgium, Denmark, Finland, France, Germany, Iceland, Italy, Greece, Latvia, Luxemburg, Norway, Portugal, Spain, Sweden and The Netherlands. Though thirty countries have signed the Schengen agreement, only the above listed fifteen countries follow the common border control and visa requirements. Learn more about Schengen visa procedures and types of Schengen visa. With a cohesive visa system introduced for the Schengen countries, travel in Europe has become much easier. Schengen visa gives you the liberty to enter one country and travel freely all through the Schengen zone. Travel by road, rail, and air is considered as domestic travel within these countries and there is nil or minimal checks in between. With a Schengen visa, you can stay in the Schengen countries for a period of ninety days within a six month period. Schengen visa is issued by the concerned Schengen country consulate which the applicant plans to visit. Visa applications should be submitted to the concerned consulate in the applicant?s consular region. The Schengen visa is a visitor visa and should be used only for tourism, business, or leisure. Schengen visa holders are not allowed to work or live permanently in Europe. Submit your visa application in the consulate or embassy of the country where you plan to stay for the maximum period. If you plan to visit many Schengen countries but do not have a main destination then you have to apply for a visa to the first Schengen country you plan to visit. A minimum of one blank page has to be there in your passport to stamp the visa. Visa applications have to be submitted in person between 0900 and 1100 in the morning to the concerned authority. Visa applications are accepted from Monday to Friday, applications are not accepted on Wednesday. Children must possess individual passports. The applicant?s passport size photograph in a white background has to be submitted along with the visa application. Visa stamped passports can be collected after three days from when it was submitted to the authorities. It can be collected between 1600hrs and 1700hrs. A visa for Schengen countries does not guarantee entry into these countries; the immigration officer at the border has the final say for entry into these countries. Original passport that will be valid for the next three months after the visa expiry. One copy of the first and the last page of the passport. One/two recent passport size photograph in a white background measuring 3cmx4cm. One copy of the applicant?s travel itinerary along with return ticket. Proof of professional status of the applicant. One copy of a valid health insurance policy with coverage of Euros 30,000. Neatly filled up visa application form, all columns have to be filled using capital case. Above listed are the basic documents required to apply for a Schengen visa. Depending on the type of visa applied for, authorities might request for additional documents as listed below. Tourism or private visit: Invitation from the host specifying the type of accommodation. Training: A certificate of enrollment from the teaching institute specifying the type of training. Business: An invitation from the concerned authority specifying the purpose of trip, e.g. attending fairs, meetings, etc. Documents to prove the existence of the trade relations or work relationship between the firms need to be produced. Entry tickets for fairs or trades shows are needed for business visas. Others: Invitation, entry tickets, enrollment copies, proof of medical appointment, etc. Other documents could include proof of accommodation, proof of sufficient funds and transport arrangements. Visa A: This is an airport transit visa and allows the person to transit through the Schengen international airport zone, does not allow the person to enter the Schengen territory. Visa B: This is a transit visa and allows the person to go through the Schengen territories for not more than five days while traveling between two non-Schengen states. They can travel by any means within the Schengen region while en route to a non-Schengen region. Visa C: This is a short stay visa and allows the person to visit the Schengen region for business, sight-seeing and to visit family. The person can stay for a maximum period of ninety days within the specified 180 days period. This is the most common type of Schengen visa. This is a single entry visa and the applicant can stay for a maximum period of ninety days, uninterrupted. A multiple entry visa in this category allows the applicant to stay in one or more Schengen regions for a period of not more than ninety days within a half year. This visa is also called the travel visa. In few cases the visa is issued for a five year period. Visa C: This is a circulation visa and permits short stay within a period of one year. It is used for the purpose of businesses that are supported by an invitation letter from the Schengen country. For e.g. aircrew members, businessmen receiving invitations from counterparts in the respective Schengen country can avail of this type of Schengen visa. Visa D This is a long stay visa and permits the applicant to stay for a period of more than three months. This visa is issued for students, people who wish to work, people who wish to settle, etc. 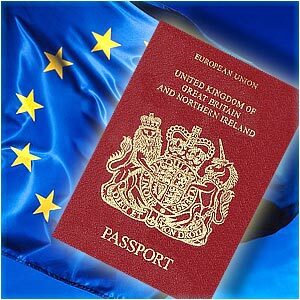 The fees charged for business visa, airport transit visa, tourist, and visitor visa is Euro 60. Visa fees can be paid in Euro, USD, or the local currency of the Schengen country. Stamped visas can be collected from the respective embassy or consulate three days after the visa application has been submitted.